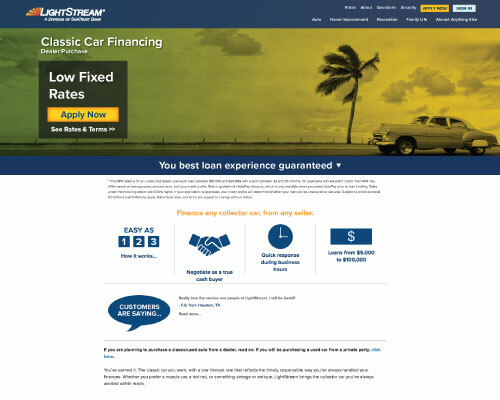 When you have good to excellent credit, you've earned a low rate on any classic car from any dealer you want, from our financing partner LightStream, the nation's premier online consumer lender and a division of SunTrust Bank. 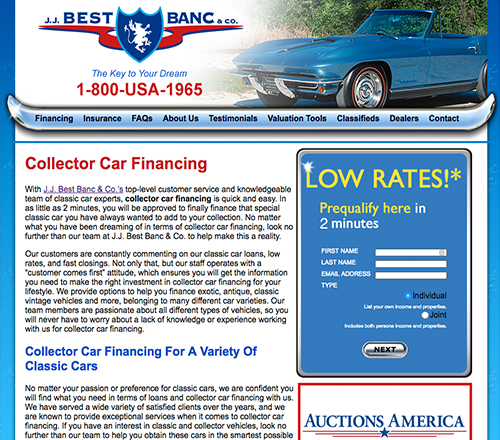 We offer convenient, flexible financing for collector cars $10,000 minimum loan. 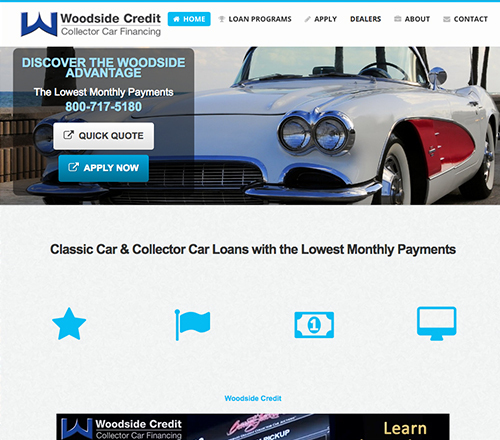 Click below to complete our 10 minute online application or call 1-800-717-5414 to speak with one of our experienced loan consultants. 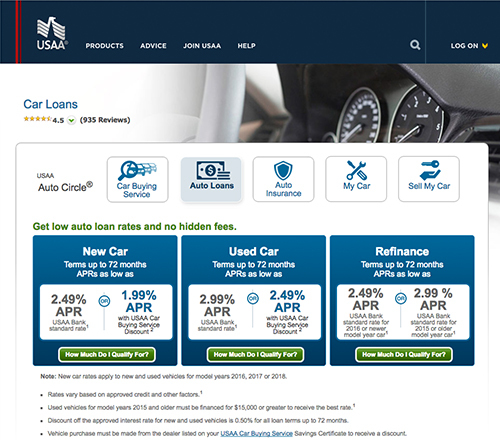 USAA Servicing Those In The Military For Auto Loans. We Thank You For Your Service!